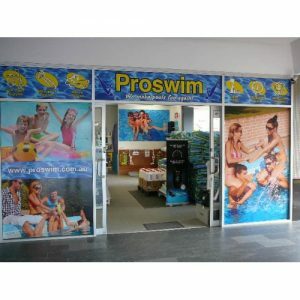 Proswim Pool Shop in Bracken Ridge, learn more about us. Proswim Pool Shop provides a range of quality pool equipment including glass media filters, Viron salt chlorinators, robotic pool cleaners, heat pumps and we specialise in the installation of energy efficient pool pumps. We also provide a range of services including regular maintenance, equipment repairs, problem solving, renovations, pool safety certificates, pre purchase inspections, leak detection, black spot removal, sand changes, solar blankets and rollers, pool heating etc. There is one more service that we think is more important than any other… We make pools FUN again! Why is Proswim Pool Shop different? Why buy from us? Service… Friendly one on one service. We have had customers for over 30 years because they like us as people and not just someone trying to sell them something. Warranty… If we sell you some pool equipment and the free in field service by the manufacturer runs out during the warranty period, we will pick up the faulty equipment for you, send it to the manufacturer, have it repaired or replaced & reinstall it for you, FREE of charge. Experience… Proswim staff have over 100 years industry experience, with an average of 17 years each… experience IS the difference! Mistakes… If we make a mistake, we fix it! We are all human and far from perfect. All I ask is if you think we have made a mistake please tell us and I will personally make sure it is resolved. Proswim Pool Shop was created in 1999 and has developed into a successful business built on a reputation for good products and service. We can ship pool equipment and spare parts to anywhere in Australia. Just EMAIL us for a quote on what you need. Please include your postcode so we can work out a freight cost. Also, if you need a replacement part, a picture tells a thousand words.